BARGAIN!! 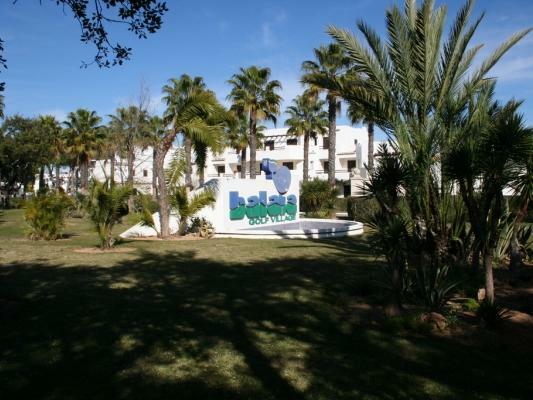 2 bed, 2 bath apartment Balaia Golf Village - Property for sale. Full Description: This lovely 2 bedroom first floor end apartment is located on the popular resort complex of Balaia Golf Village. Properties here offer great rental potential for those looking for a holiday with fabulous resort facilities including 6 communal swimming pools (1 heated and another indoor), snack bars, fine dining restaurant, supermarket, tennis courts, 24 hour year round reception where you can book all excursions, internet facilities, Health Club with gymnasium and not forgetting the 9 hole par 3 golf course with Club House, golf shop, Sky TV and restaurant. Off the complex the Maria Luisa beach is a 10 minute stroll and there are plenty of bars and restaurants within walking distance. All this and only 5 minutes drive from the centre of Albufeira with its lovely sandy beaches, cobbled streets lined with various restaurants, cafes, bars and shops. Built in 2000, this apartment is in excellent condition and decorative order. Located close to the indoor heated swimming pool, shops, tennis courts and opposite the reception area it is very conveniently placed on the complex for holidaymakers to enjoy all the facilities. Accommodation comprises an entrance hallway, open plan lounge/dining room with fireplace and patio doors leading out to a spacious private West facing terrace. The kitchen is fully fitted and equipped with all appliances, a large cupboard houses the washing machine and tumble drier, there is a full bathroom, 2 double bedrooms with fitted wardrobes, 1 with en-suite bathroom and access to the terrace. The apartment is being sold fully furnished and equipped and is ready to use or rent out immediately. Considering the price and location this apartment is an excellent investment and offers the opportunity to generate a healthy rental income. Early viewing recommended. This listing has been viewed 433 times.